J Vineyards & Winery Cuvée 20 Brut NV: Deep gold color; almonds, apple, ginger on the nose; lemon, lime, white apple, squeezed orange juice on the palate. Brut (12 g/L RS or less, third-driest classification for sparkling wine, between extra brut and extra dry); wonderfully creamy in the mouth juxtaposed to cutting acidity (3.26 pH) and nice fruitiness. Impressive large-production effort; 49% chardonnay, 46% pinot noir, 5% pinot meunier, mostly from Russian River Valley in Sonoma. Massive mousse—be careful opening the bottle; very persistent and delightful bubbles. Traditional method sparkling; wine aged 24 month en tirage (1% residual sugar dosage); en tirage is French for “in pulling” and refers to time bottled wine rests in contact with lees (dead yeast cells and other particles that precipitate out of the wine) during secondary fermentation (which turns still wine into sparkling). This wine aged additional six months in corked bottle before release. 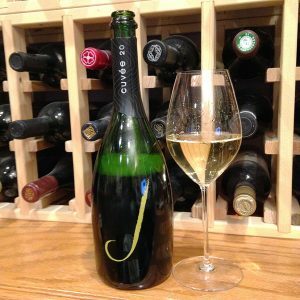 The result is a exceptionally smooth and delicious pour by a winery noted for its sparklings. 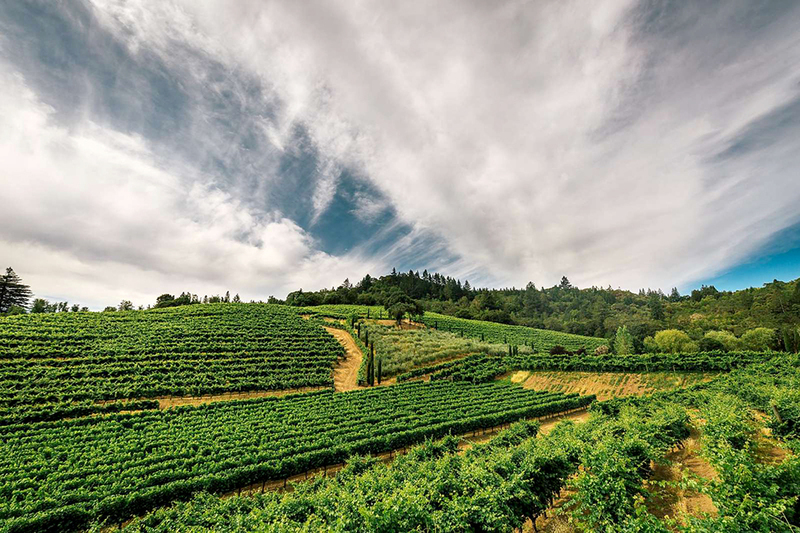 Judy Jordan—the daughter of Jordan Vineyard & Winery founder Tom Jordan—began J Vineyards & Winery in 1986 specializing in sparkling wine, but she then moved into pinot noir, chardonnay and pinot gris still wines. This expresses the original sparkling direction of the winery and is a superb large-production effort. As followers may note, I also am big fan of J Vineyards & Winery pinot noir in this market niche. 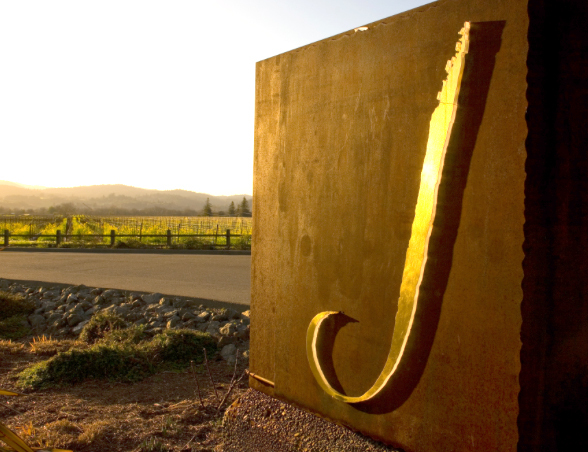 In 2015, Gallo purchased Jordan’s operation because, Judy explained: “the winery kept getting bigger and bigger, and it was more and more pressure with operations, and I was getting further and further away from what I particularly love, which is geology, terroir and the vineyard–because I was running a big company.” This may be one of the last efforts initiated under Jordan’s supervision, but Gallo knows how to take a proven good thing and continue to run with it, so there should be no need for needless despair. 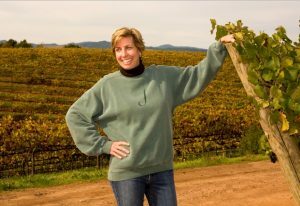 In fact, Judy said she sold to Gallo because it is a family-owned business (the largest family-owned wine business in the world) that shares her core values. Pray it all works out, because this is really nice bubbly and J makes very good wine in general. Gallo veteran Nicole Hitchcock is the winemaker at J today, but the winery website does not indicate her participation in this effort. 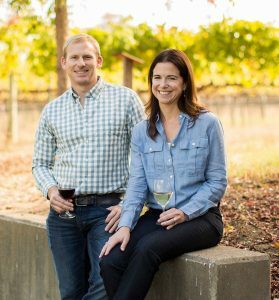 Associate winemaker Scott Anderson almost certainly participated since he achieved his position at J in 2011. In any event, these young talents will set the course of J Vineyards & Winery going forward. May the wind be at their backs and the Mother Nature take them to her bosom.